Finally, a true-life answer to a real-life mystery. I'm staying awake nights wondering who (or what) is tampering with my Royal Enfield Bullet and the only sympathy I had was from Maj. Bunty Golightly. How could you say today that no one cares about your mystery with the filler plug? Frozen fasteners can be like lids on pickle jars. You twist until you are red in the face, pass the jar to others who do likewise, and then someone slips the lid off with no effort. Adjustable spanners are appropriate when there is nothing else, and the fastener moves readily. Otherwise they are a certain way to round corners. 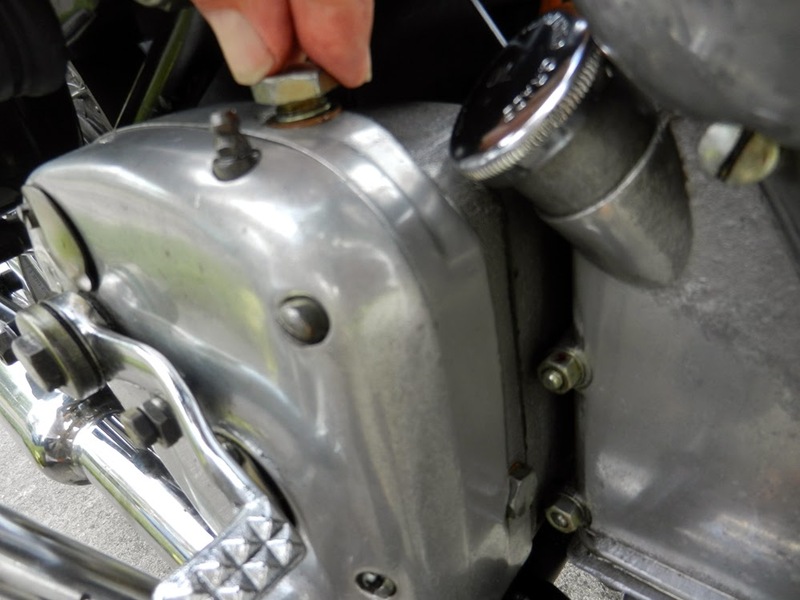 Try wrenching from a different angle. This is where a ratcheting wrench excels, particularly where there is little room to swing the wrench. Bump the wrench with the heel of your hand. Even bump it in the opposite direction once if threads are galled or rusted. If you feel or hear a click, you know it has broken free. Hammer taps can loosen rusted or galled threads. Straight down on your plug, or with a chisel to the accessible flats of the hex. A nut can be stretched by whacking each flat of the hex — just be sure to have a backup hammer pressed against the opposite side of the nut. Heat may be what loosened your filler plug. Running temperatures would have warmed the metal and aluminum expands more than steel. The big wrench and your efforts introduced some stresses that released when the metals expanded differently. You can try heating fasteners with a torch, even cycling heating and cooling. A 50/50 mix of power steering fluid and acetone is held up by some as the best penetrating lubricant. Power steering fluid is, I believe, similar to automatic transmission fluid, but with more detergents to reduce surface tension and increase penetrating ability. Good luck! Sometimes we rely on it to keep Gremlins away.